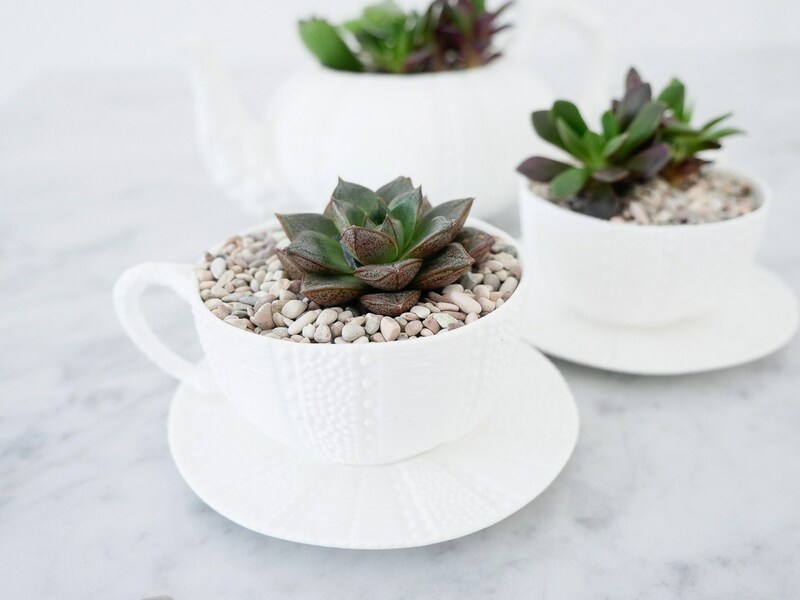 These DIY teacup planters from actress Eva Martino are an incredibly easy way to beautify your small house plants. Simply transfer your plant from its pot into a teacup or teapot, add rocks or Styrofoam to fill in any gaps, and water it according to its directions. The project will only take you about 10 minutes, but will nurture your plants’ growth for weeks and weeks. 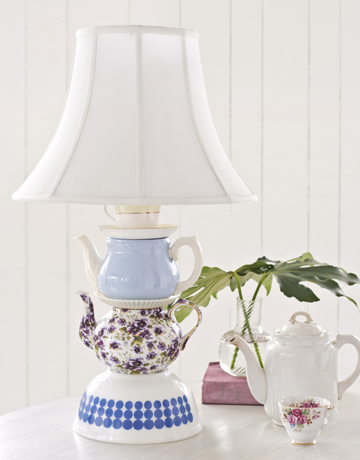 This project from Country Living brings together an array of teaware to create a beautiful, unique lamp. Select your materials, and then fill the smallest among them with self-hardening clay. While the clay is still wet, insert a socket-and-cord unit. 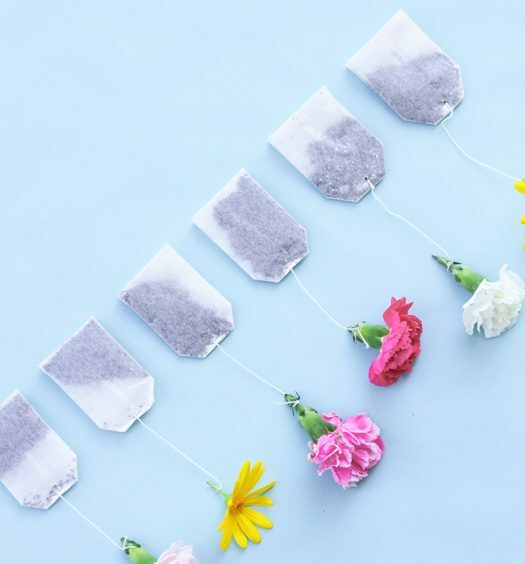 Once it’s dried, super glue your teapots, saucers, and cups together from largest to smallest, finishing with your teacup containing the socket-and-cord unit. Attach a shade to the top, add a bulb, and let there be light. 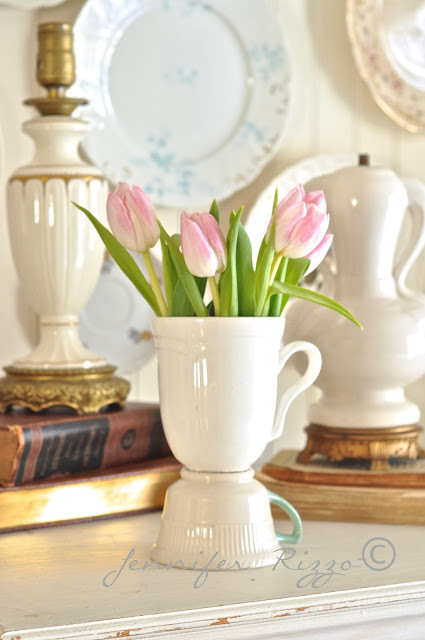 This teacup vase from Jennifer Rizzo couldn’t be easier. Simply find two teacups without any cracks, turn one upside down, and glue the bottoms together. 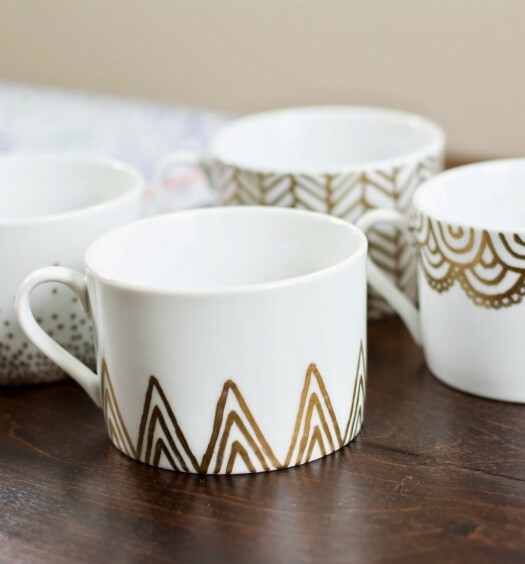 You’ll get the most bang for your buck if you use at least one tall mug. Add flowers and water for an funky centerpiece. This guide to making your own teacup candles comes from Inhabitat. 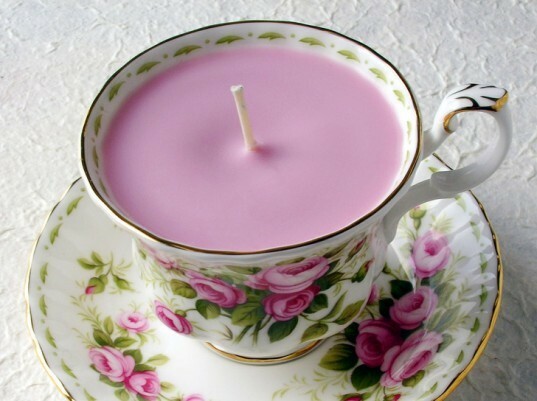 Simply pour wax, dye, and scented oil into a teacup to create a special candle. Afterwards, enjoy your after-dinner tea by candlelight. 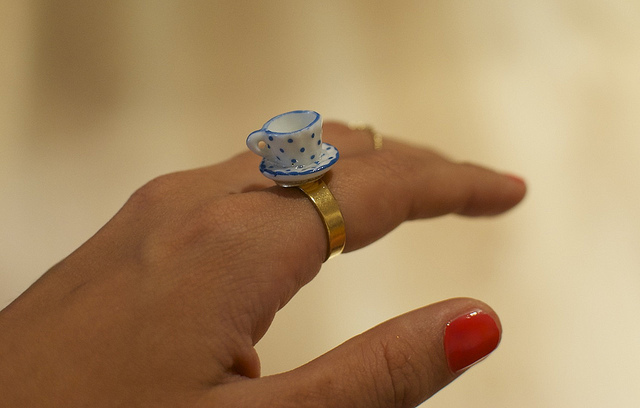 If you love tea so much that you want to wear it on your finger, this adorable teacup ring is for you. Purchase a porcelain doll tea set (or steal one from your kid) and glue the tiny cup and saucer together. Then glue the toy unit to a ring base. All that’s left is to flash the cutest piece of jewelry in the world all over town. Do you like wine, but love tea? 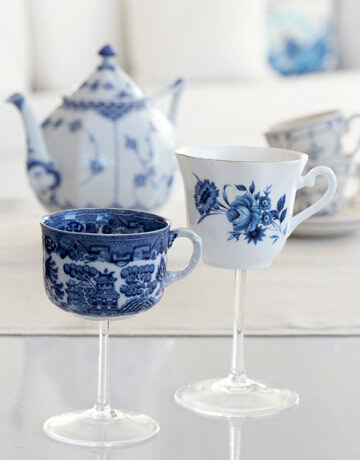 Get the point across with these teacup wine glasses from Country Living. Glue the stem of a wine glass to the bottom of a teacup to create class and interest at your dinner party table setting. This snazzy bird feeder from Practically Functional is a cute way to attract feathered friends to your backyard. Glue a teacup to a saucer at a ninety degree angle, so that the birdseed will look like it’s spilling out. 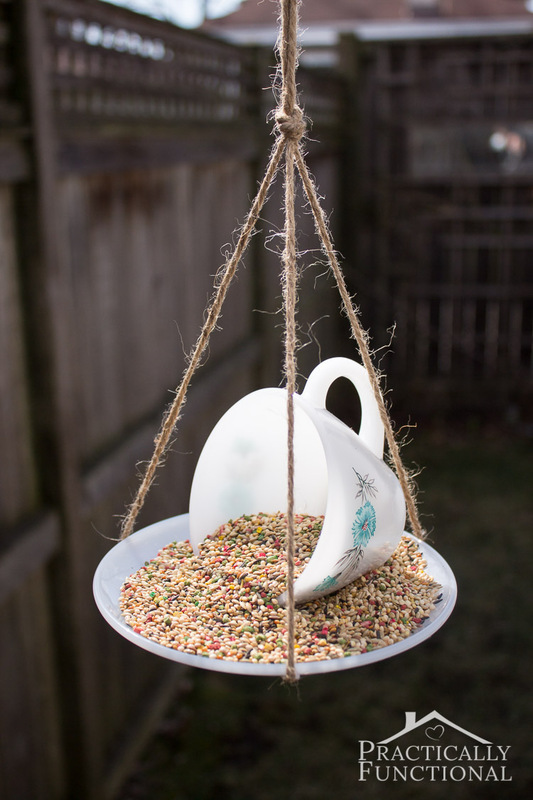 Tie the cup and saucer to a tree or bird feeder hanger with twine, and prepare for chirping.